I recently bought some photographs that were labeled "The Official John Lennon Chapter" on the back of each photo. This made me think that one major thing that Beatle fans in the 1960's and through the years until today love to see is Beatles photos. Fans in the 1960's were getting them from teen magazines and in 2016 you are coming to blog such as this one to see Beatles photos. This got me wanting to dig a bit deeper into the history of trading Beatles photos among fans. We know that first Beatle fans to trade pictures were Margaret Hunt and her friends at the Cavern Club as early as 1961. Margaret was smart enough to go to Mersey Beat and ask to buy photos from the publication of the Beatles. She would then take the photos and show them to her Beatle friends at the Cavern as well as to John and the other Beatles. Her friends also would occasionally bring a camera to the Cavern and take photographs. This wasn't as common as you would think, but it did happen now and again. As the Beatles' popularity grew and an official fan club started, fans were not only loving the music, but loving the photographs. 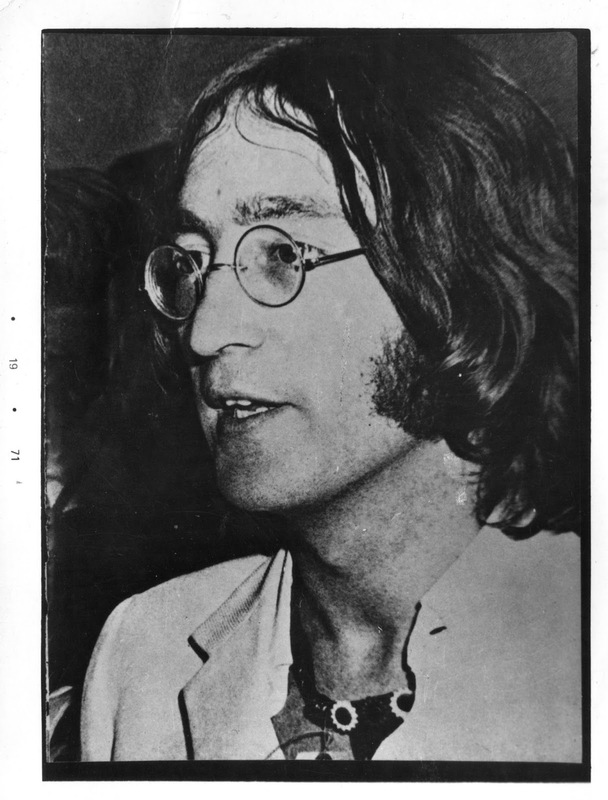 Beatle Book Monthly was the best place to find recent and different photographs of the Fab 4. I MUST have a copy of the photo you are selling on file BEFORE issuing you a copyright card. This card guarantees you total control over the photo. Each chapter sells different photos and this is our way to keep order. If your photo comes from a a private source and you already have the negative and the prints, send me one print with the number of the photo as you will sell it on the back. If not used by any other chapter, I will send you a copyright card. It is then, and ONLY then, that you may start to sell the photo. If the photo you desire is in magazine form and you do not have the negative, send me the magazine print, PLUS a xerox or photocopy of the print. The copy will remain in temporary filing under a temporary copyright. Your original pic will be returned to you so that you can get your negative made, plus your prints. Once the print is back to you, send one to me in the manner described above. NO COPYRIGHTS are issued on xerox prints, or they will be issued prior to my receiving a final copy. It does neither of us any good for to send me a print and then ask me to copyright it, and then want the print back. I'd have nothing here to prove I granted your chapter the copyright and will thereby grant that same copyright to another chapter. These xerox copy of photos are pretty band quality, but if that is all you have, then they were awesome. Here are the John Lennon ones I purchased. Once the Beatles fan club disbanded, the former fan club presidents used their knowledge of running a fan club and started their own independent fan clubs and sold photos through them. Many of these disbanded after a few short months, but some such as The Write Thing, The Harrison Alliance, & With a Little Help from My Friends went well into the 1980's. These fanzines sold mostly photos that were personally taken by fans. They sold them for 50 cents each and there were descriptions of the photos in each newsletter. Into the 1980's and 1990's the fanzines and other individuals started selling Beatles photos at Beatlefest and other Beatle fan conventions. This is where I started my obsession with Beatles photos. By this time, one photo would cost $1.00. People were also sharing photos with friends through pen pals and in person. Then the Internet hit and it was the end of Beatles fan clubs and even the photo sellers at the conventions were sparce. People, such as myself, were discovering that Beatles photos were to be found on the World Wide Web and if you inserted your floppy disc into the A drive and clicked on the right side of the mouse you could save a Beatles image onto a disc and share it with friends in chat rooms. Fans were also buying scanners and scanning photos and sharing them with one another. 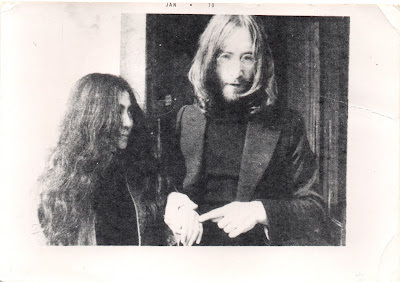 Today most fans go to Beatles blogs and sites that post photos and "right click and save" the Beatles photos they like. Those of us who still purchase Beatles photos use ebay and high end auction houses. The photos that once sold for 50 cents can go for $20 each on ebay. Regardless of the decade, Beatle photos will always remain popular and shockingly---new photos are discovered every day! Sara - you brought up an interesting topic here. 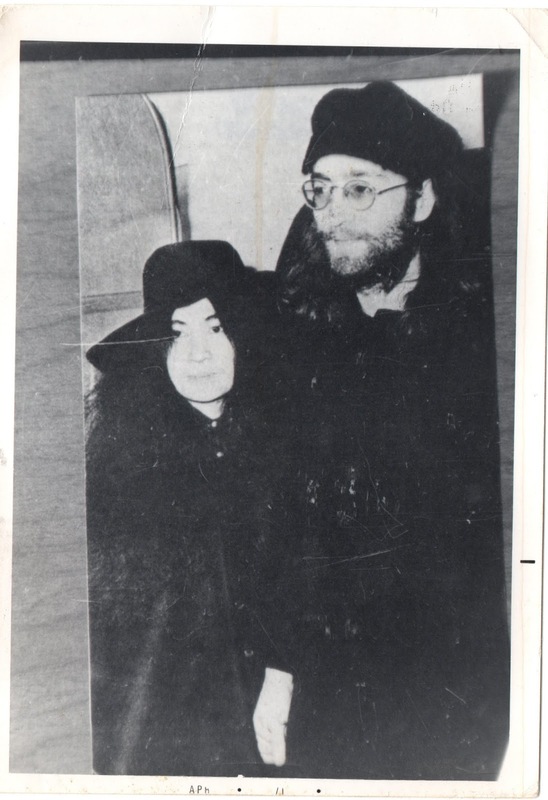 We wanted real pics and going back to the 60's we were able to buy in person Beatle photos from each other for about 50 cents a print although it only cost 10 to reprint; into the 70's it was about $1 with sometimes $20 for an 8x10 depending who you got it from. I remember there were some rip off artists at the Beatlefests that you had to order from and never received anything. Thanks for the ones you print on this site that we can enjoy. Tal vez se refieren a dobles de The Beatles, en éste caso el de John Lennon.